There is no better weather than the weather during a Las Vegas spring. Celebrate spring equinox by spending time at some beautiful local spots. There is no better weather than the weather during a Las Vegas spring. Warm, breezy days come just in time to wipe away the winter blues. But if you blink, you might miss it. As all locals know, Las Vegas spring weather doesn’t last long, so take advantage of it while it’s still here. Celebrate spring equinox by spending time at some beautiful local spots. Vegas natives know by the time mid-spring hits, Mary Jane Falls has turned into Mary Jane Drips. Early spring is the ideal time to see this majestic sight in its full, waterfall glory. Depending on how adventurous you’re feeling, you can stop at Mary Jane or catch a glimpse of Big Falls, too. If you want to see both, plan for about a five-mile hike. Even in the cool spring months, there aren’t many fresh gardens surviving in the Mojave. Luckily, Springs Preserve has garden views, booze, and indulgent foods. A trip down to the Springs is rewarding any time of year, but sipping on a delicious, bubbly champagne and enjoying a thoughtfully prepared meal is much more bearable in spring. Downtown Summerlin is one of the newest shopping plazas in the city. Although it’s a bit of a drive from Life at the Top, it’s worth it. Choose between restaurants, dining, shopping, or do it all. On the weekends, there’s a local farmer’s market featuring homemade olive oils, homegrown produce, and fresh baked goods. You could take your young ones to a neighborhood park, or you could make it fun for both of you. The Container Park celebrates the Las Vegas spring by featuring jazz music in the park, seasonal vendors, and fun for the whole family. Enjoy a seasonal martini on the wine bar’s patio while you watch your young ones mingle with their peers. Las Vegas spring weather means new Bellagio gardens. Enjoy dessert with a view at Jean Philippe Patisserie. 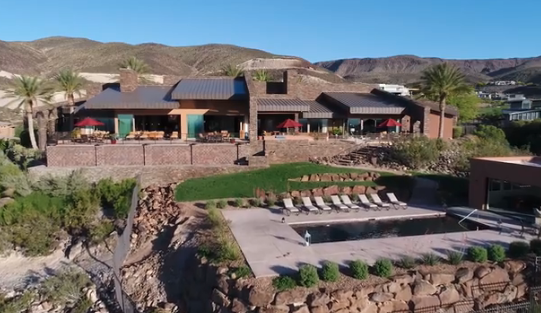 Lake Las Vegas has boat rentals, kayaking, and jet packs. You can even end the day with a dinner cruise on La Contessa. Say goodbye to a beautiful spring day while you watch the sunset over one of the most attractive man-made bodies of water in the state. Don’t worry, if water activity isn’t your thing, there’s a great golf course, too. This trail offers it all—history, fun, and fitness. The trail follows about five different railroad systems. Things can get a little stuffy during summer, so spring is your best for finishing the hike. When you’re done, stop at Boulder City, and check out their antique shops. There are some pretty rare finds in these places. Paseos Park is near Red Rock Canyon and one of the most beautiful parks in the city. You can have a picnic with a view while you enjoy the Las Vegas spring. If things get a little too toasty, children can run around the water features or take a dip in the pool. The Strip offers tons of outdoor entertainment that can only be enjoyed when mild weather permits. Play tourist for the day, let the top down on your convertible, and cruise around the famous street. When you’re living Life at the Top, why would you ever want to leave? Enjoy spring at Macdonald Highlands. Visit our real estate page to find out what properties are currently available.